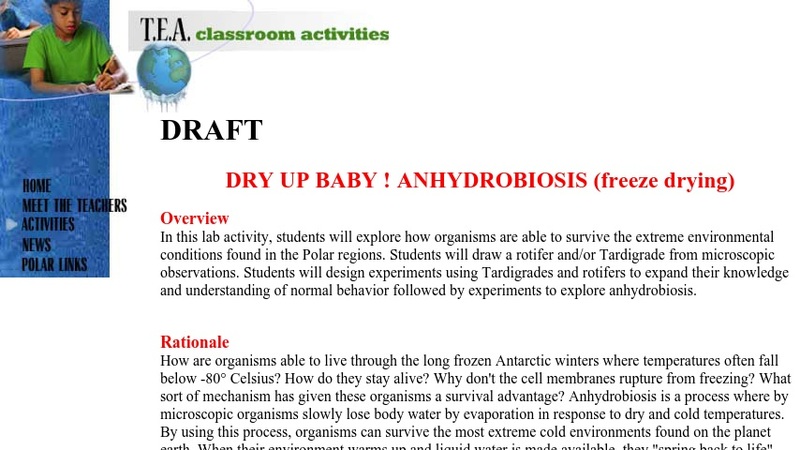 This lab activity offers students an exploration into the survival mechanisms of organisms inhabiting the extreme environmental conditions of the Polar Regions. Students will design experiments using Tardigrades and Rotifers to expand their knowledge and understanding of normal behavior followed by experiments to explore anhydrobiosis, an adaptation of psychrophiles. The resource, available in both HTML and PDF, includes a teacher preparation activity, teaching sequence, and reproducible student master sheets.